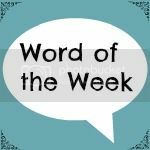 I loved The Reading Residence's idea of defining a week in a word, I managed to join in for a week and then life got the better of me. I wanted to find a word that applies to all of us, although I'm not sure it entirely does. It has been the boys first week of doing five afternoons at school. The school staggers starts, so they started the Tuesday after Easter, and last week was a Bank Holiday. They do so much outside of school, and then there's how much school would exhaust them. And they are exhausted (and then Grandma took them to a softplay centre this morning!). Mr J was sure they couldn't wait up until I got home this evening. And yet, they still insisted, beyond their bedtime on mummy reading them a bedtime story, a new one- hooray!, 'Marshmallows for Martians'. Seren has had to put up with mummy making her brechdanau rather than cinio. She's taken on another after-school activity, in that alongside Mr J starting up Junior Squash on a Saturday morning, he's decided to add 'Squash for Tots' to his repertoire. This morning's text informed me she had gone to bed at 8 and slept through to 8- completely unknown, she is usually a night owl. And of course, Mr J has had to put up with me working away. I expected closure on something today. Something that I was expecting to have closure on a couple of weeks ago. Something that has occupied my sub-conscious, I'd love to say for two months, the reality is it has occupied too much time for too many months. I didn't get the closure promised. I don't imagine for a moment I have been interpreted as being reasonable in my response to the deadline offered passing in silence. I have reiterated that I haven't been told of (another) extension, so I'd like a response. I have found myself in new situations recently, stepping out of my comfort zone. On a personal level, I stepped out of my comfort zone recently, and afterwards someone shook my hand, and commented on how cold it was. I have realised that is what happens. And as I travelled to a meeting this week, as the weather turned to perfect, so I found my own temperature dropping. I realised how nervous I was. The day went better than I could have predicted. I have once again realised how much I take things on face value. How whilst in my own work I like to think I think laterally, that some things outside of my control I just assume to be non-negotiable. And as I realised that whilst I was surprised by the outcome, I realised my preparation had set me in good stead. Allowing me to be confident in the sphere of my influence. I don't know how things will turn out for me 'professionally' (AKA at work). I do know that regardless I have the most resilient little people, that I want to spend every moment possible with them. I really hope it goes well for you - it can be scary going out our comfort zones, at any age. Resilience is a brilliant word. I could do with more of it, and so, definitely, could my son. Am often trying to work out how to boost it. 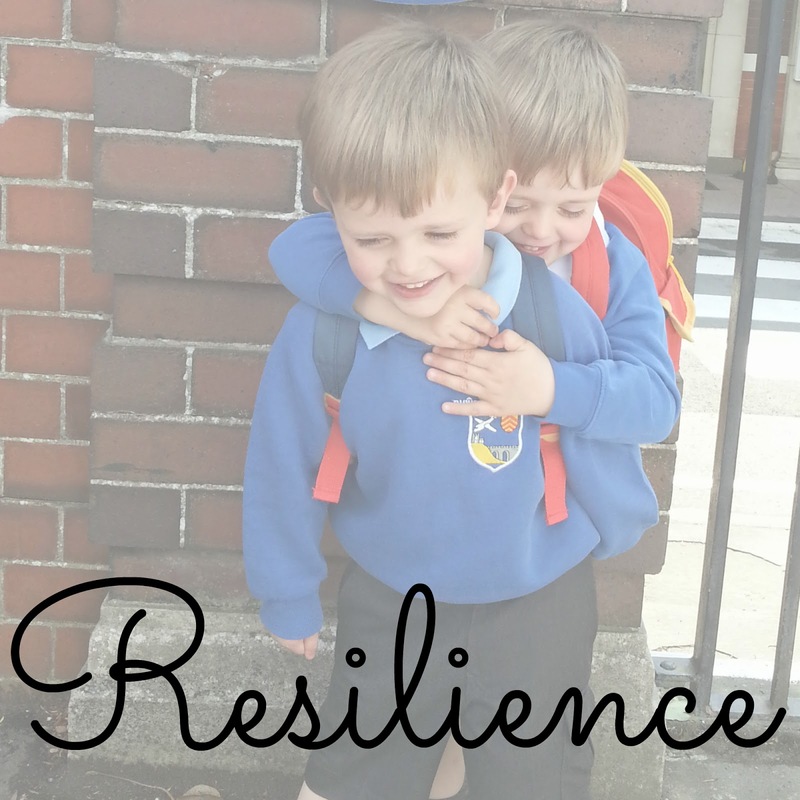 A really strong word, well done on getting out into the zone, an excellent example to set to children learning about resilience too! A really good word. I hope all works out with you.Your boys are cute. Love that photograph and great word - sometimes I worry about my resilience but I'm learning to be better at making it stronger! Brilliant word - resilience. I've found that sometimes it is the people who you think will crumble are in fact the most resilient. Brilliant word - I could do with some of that myself at the minute to be honest!